This Skin Soothing Salve has been created for the purpose of healing skin conditions such as eczema & psoriasis. Generous amounts of bioactive ingredients such as neem & hemp oil and herbal infused oils make this salve gentle yet effective. Our soothing balm relieves the symptoms of eczema, psoriasis and other skin irritations such as bites, stings, burns and rashes.. The neem, hemp and lavender oils work to calm and heal the itch and redness and the bees wax acts as a barrier and locks in moisture. Our Skin Soothing salve relieves the symptoms of eczema, psoriasis and other skin irritations. The neem, hemp and lavender oils work to calm and heal the itch and redness and the bees wax acts as a barrier and locks in moisture. This healing salve has been created for the purpose of healing a wide range of skin conditions such as mild eczema, rashes, bites, stings, scars and abrasions. It is definitely something everyone should have in their first aid kit! Each tin has generous amounts of organic shea butter, bees wax, calendula & chamomile infused grape seed oil, neem oil, organic cocoa butter, organic hemp seed oil, *black seed oil, Vit E, bioactive manuka honey and lavender essential oil. *Manuka Honey is derived from the native Manuka Bush Found in New Zealand. Amongst all varieties of Honey, Manuka is esteemed as an ‘active’ Honey, owing to its unique enzyme composition and superior therapeutic properties. A potent anti-bacterial, anti-inflammatory, anti-fungal, and anti-microbial, Honey’s self preserving nature makes it a premium addition in skincare to protect & repair the skin barrier. *Hemp Seed Oil has been dubbed “Nature’s most perfectly balanced oil“, due to the fact that it contains all of the 21 known amino acids and offers the perfectly balanced 3:1 ratio of Omega 6 (Linoleic) to Omega 3 (alpha-Linolenic) essential fatty acids, determined to be the optimum requirement for a healthy skin. With a profile that resembles our skin’s lipids so very closely, Hemp Oil works wonders to treat dehydrated skin and reverse the effects of oil loss that causes dry skin. It’s perfect for nearly all skin conditions including psoriasis, acne, eczema and dermatitis. It can also soothe dry, cracked and ageing skin. 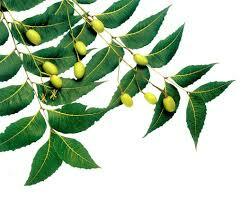 *Neem oil is well known for it’s ability to sooth inflamed skin. The high essential fatty acid levels ensure that the goodness is absorbed deep into the epidermal layers to fill in lines and deeply moisturise. It helps cell turnover and increases elasticity. Combined with the extremely effective antioxidant action of carotenoid and Vitamin E as well as moisturising triglycerides, this oil is an anti-ageing dream. It is said to stimulate collagen production with regular use. *Chamomile posses many powerful skin properties such as anti-inflammatory, anti-fungal, antibacterial, antiseptic, and contains essential oils and antioxidants. Additionally, is a hypoallergenic and helps to reduce skin irritants by neutralizing free radicals. *Shea Butter is abioactive ingredient and is incredibly moisturizing and nourishing, it’s widely used to remedy dry skin. Has properties that improve and heal skin allergies, bug bites, sunburns, frostbites, and other skin conditions, and lightens discoloration and stretch marks on the skin. *Black Seed Oil http://www.blackseedoil.com.au/. Read this article on the awesome benefits of black seed oil! Must admit, as a life long eczema sufferer i can be skeptical about “natural” products however Bare Beauty’s Eczema & Psorisis Salve really works! I have only been using it about a week but it definitely has helped calm my flare up brought on the recent humid weather & doesn’t sting or leave my skin weepy the way other creams can. 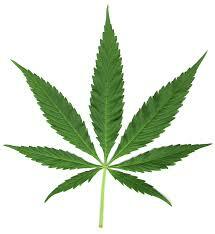 Much safer for long term use with chronic conditions than steroid creams too. I’ve had psoriasis for 5 years now and it has done nothing but spread and get worse. Nothing has helped. I’ve done the whole steroids topical and oral, goats milk, uv therapy you name it. After using this for a week my tennis sized patches are actually turning flesh coloured and breaking up, the scales are thinning and essentially it’s going away. it’s really good stuff so thrilled to have something that finally works. It’s really effective for eczema flare-ups. My partner who has chronic eczema, has seen a significant improvement after frequently using this salve. It’s also helpful to calm the itchiness. Shoutout to Laura and Sarah for being responsive and thoughtful ? That’s awesome that it is giving your husband relief from his psoriasis. Thanks for letting us know!